Lace Up Ladies 2014! Komen Race for the cure. 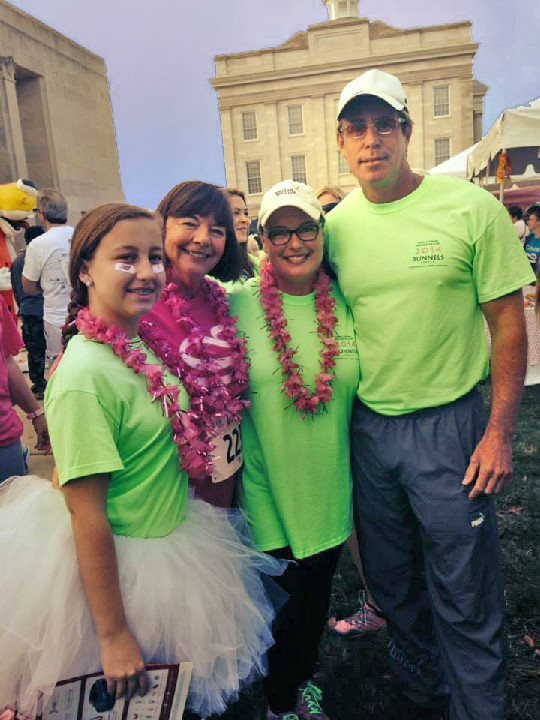 The Runnels Center recently participated in the 15th Annual Race for the Cure, held on April 12 in Downtown Jackson. The event, hosted by The Susan G Komen Central Mississippi Steel Magnolias, raises funds and awareness in the fight against breast cancer. Up to 75 percent of the funds raised at the Race remain here in the local service area to provide breast health research, diagnostic screening, treatment services and education for uninsured or underinsured women. The remaining 25 percent goes to fund national research to discover the causes of breast cancer and, ultimately, its cures.